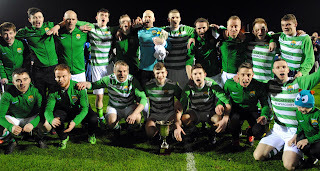 Macroom B celebrate after winning the President's Cup following a 2-1 win over Temple United at the Cross on Tuesday night. 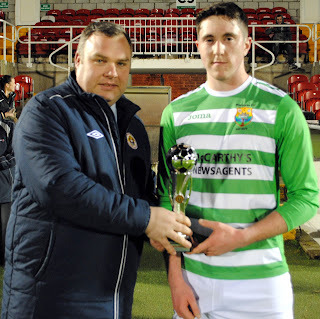 Kevin O'Mahony (Cork AUL) presents the man of the match award to Macroom B's Sean Quinn after the match. 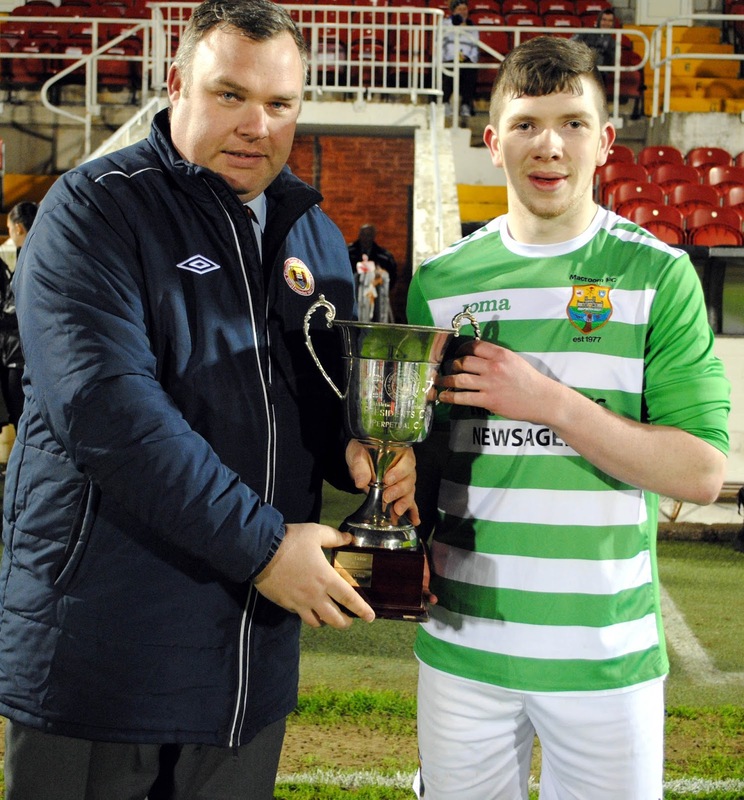 Kevin O'Mahony (Cork AUL) presents the President's Cup to Macroom B's Barry Kelleher after their 2-1 victory over Temple United at the Cross on Tuesday night.